Iberico Jamon de Bellota is considered by many to be the best cured ham money can buy. This traditional Spanish country ham is produced using free-range Black Iberian pigs that roam oak forests (called dehesas) feeding on acorns during the final stage of their rearing. The hams from the slaughterd pigs are salt-processed for a minimum of 12 months, and are then labeled according to the pig’s diet and the percentage of the pig’s Iberian ancestry. In Spain, it is common to see the whole ham resting on a holder for family members to slice and enjoy at any time of day. The ham is sliced paper-thin and served on warm plates for optimum flavor. 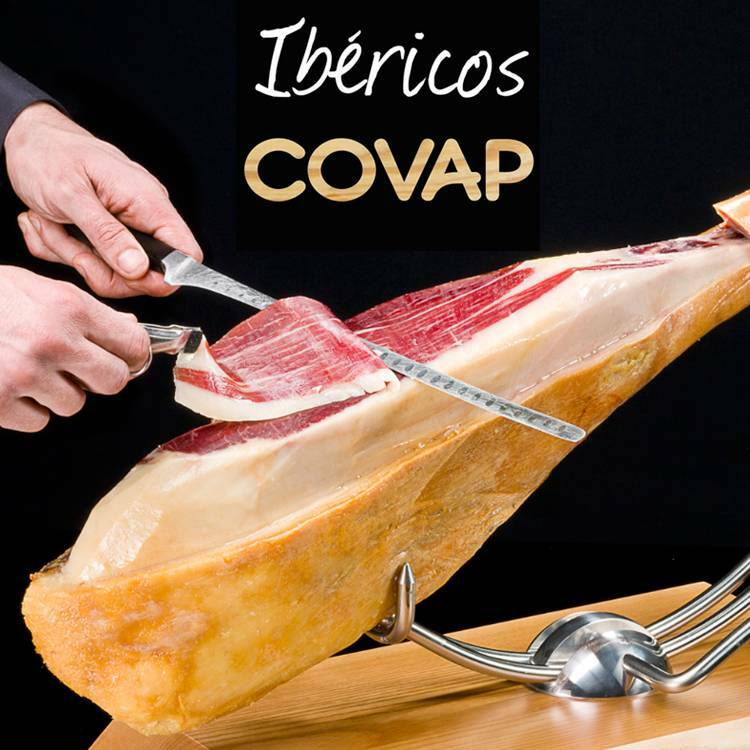 CyberCucina has proudly partnered with one of the top producers of Ibérico ham in Spain, COVAP. Their purebred pigs are all born and raised by their own farmers. COVAP raises mainly 100% purebred Ibérico pigs and uses only 100% purebred pigs to produce Dehesa Cordobesa® products. The pigs roam on almost one million acres of Dehesa (acorn tree forest) in the Valley of the Pedroches, in the province of Córdoba, Spain. Each pig has almost 2 acres to itself and feasts on acorns from Encina Oak trees, which are considered to be the sweetest in Spain. All Dehesa Cordobesa® products are Puro de Bellota, which means the 100% purebred Ibérico pigs finish their lives eating acorns until they reach the correct weight. For a limited time, all Iberico Jamon de Bellota are on sale. Take $50 off all bone-in varieties and $25 off boneless varieties. This exquisite treat is perfect for serving to guests at summer events like weddings, showers, and graduation parties.